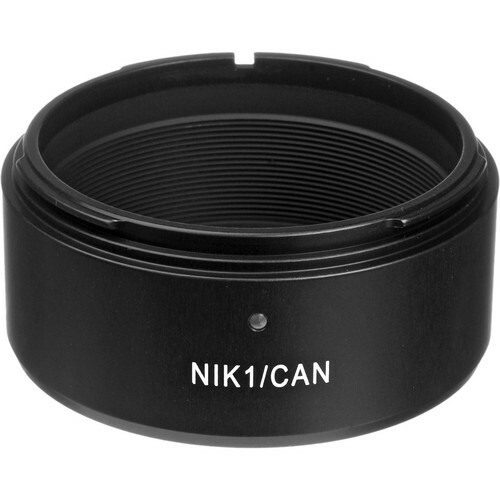 One of the most appealing aspects of small mirrorless cameras like the Nikon 1 is the availability of a wide range of interchangeable lenses, including non-Nikon lenses. The Adapter for M42 Lenses to Nikon 1 Cameras from Novoflex makes it possible to mount a M42 lens to your Nikon 1 camera with a precision mechanical adapter. This adapter does not transfer functions from the camera to the lens, such as automatic focus, exposure metering, or aperture priority mode. It will, however, provide manual exposure and stop-down aperture priority mode. The lens will focus to infinity using this adapter. Box Dimensions (LxWxH) 3.0 x 2.9 x 1.7"